Susan Band Horwitz was born in Boston where she grew up and attended public high school. After graduating from Bryn Mawr College, she attended Brandeis University where she received her Ph.D. in Biochemistry. She was a postdoctoral fellow in the Departments of Pharmacology at Tufts University Medical School, Emory University Medical School and The Albert Einstein College of Medicine. She joined the faculty at Albert Einstein in 1970 and is presently the Falkenstein Professor of Cancer Research and Co-Chair of the Department of Molecular Pharmacology. Dr. Horwitz has had a continuing interest in natural products as a source of new drugs for the treatment of cancer. Her contributions span several decades of research and encompass agents which have served as prototypes for some of our most important drugs that are currently in clinical use. She made major contributions to our understanding of the mechanisms of action of camptothecin, the epipodophyllotoxins and bleomycin. However, Dr. Horwitz’ most seminal research contribution has been in the development of Taxol®, a drug isolated from the yew plant, Taxus brevifolia. Although no one was interested in Taxol® when she began her studies, today it is an important antitumor drug approved by the FDA for the treatment of ovarian, breast and lung carcinomas. The drug has been given to over a million patients. Dr. Horwitz' research played an important role in encouraging the development of Taxol® by the National Cancer Institute. Dr. Horwitz made the discovery that Taxol® had a unique mechanism of action and suggested that it was a prototype for a new class of antitumor drugs. Although Taxol® was an antimitotic agent blocking cells in the metaphase of the cell cycle, Dr. Horwitz recognized that Taxol® was blocking mitosis in a different way than other known agents. Her group demonstrated that the binding site for Taxol® was on the β-tubulin subunit. The interaction of Taxol® with the tubulin subunit resulted in stabilized microtubules, essentially paralyzing the cytoskeleton, thereby preventing cell division. She has received numerous honors and awards, including the C. Chester Stock Award from Memorial Sloan-Kettering Cancer Center, the Warren Alpert Foundation Prize from Harvard Medical School, The Bristol-Myers Squibb Award for Distinguished Achievement in Cancer Research, the American Cancer Society’s Medal of Honor and the AACR Lifetime Achievement Award in Cancer Research. 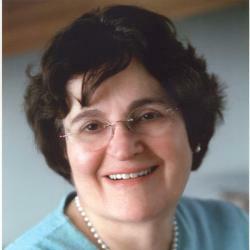 Dr. Horwitz served as president (2002-2003) of the American Association of Cancer Research. She is a member of the National Academy of Sciences, the Institute of Medicine of the National Academies, the American Academy of Arts and Sciences and the American Philosophical Society.